The now-extinct African forest elephants were smaller than the Indian variety. At around two to two and a half metres in height, they were an imposing beast capable of causing panic in enemies unused to facing them in battle. 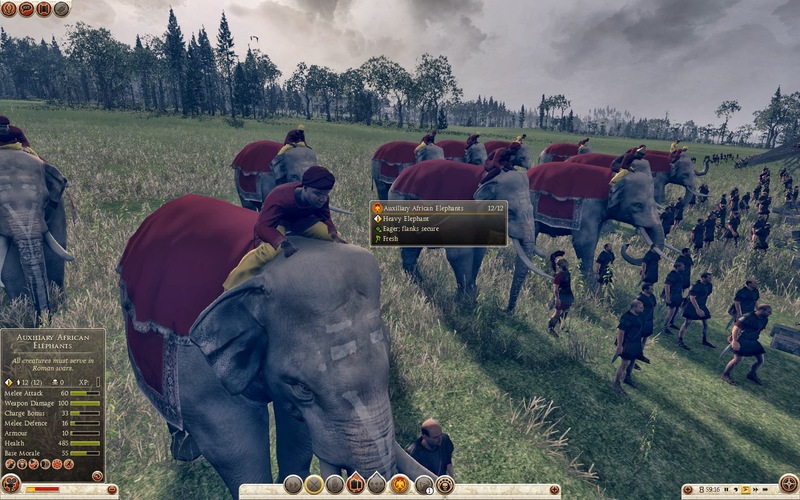 Having fought Syracusan elephants in Sicily in 278-6BC, the Carthaginians captured and tamed the local elephants rather than importing larger specimens from India. 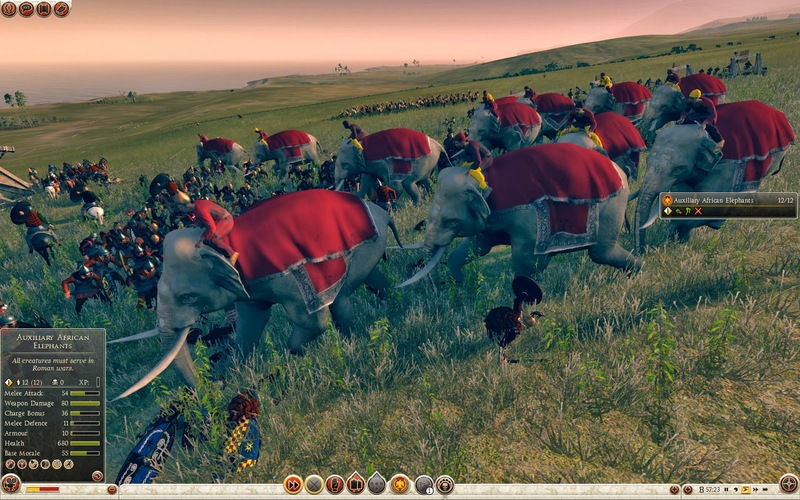 The Carthaginians did, however, hire Indian experts to form the most powerful elephant corps of the period. 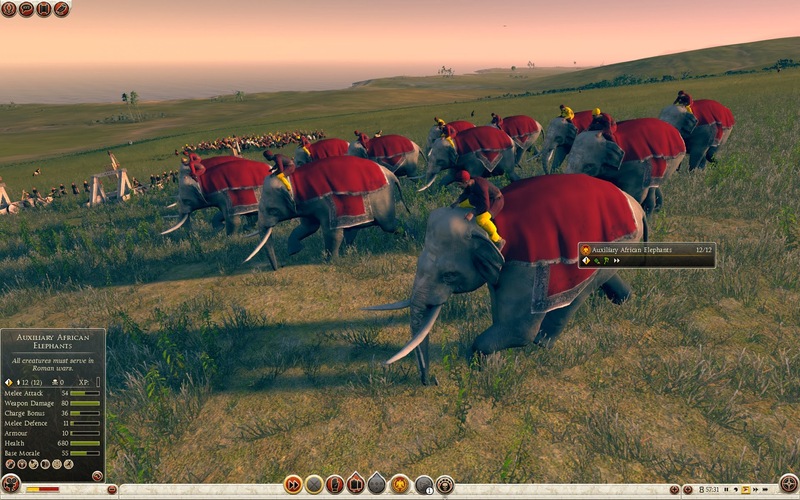 At Bagradas River in 255BC, the Carthaginian elephants caused many casualties, leaving the Romans fearful of battling the creatures for many years afterwards. 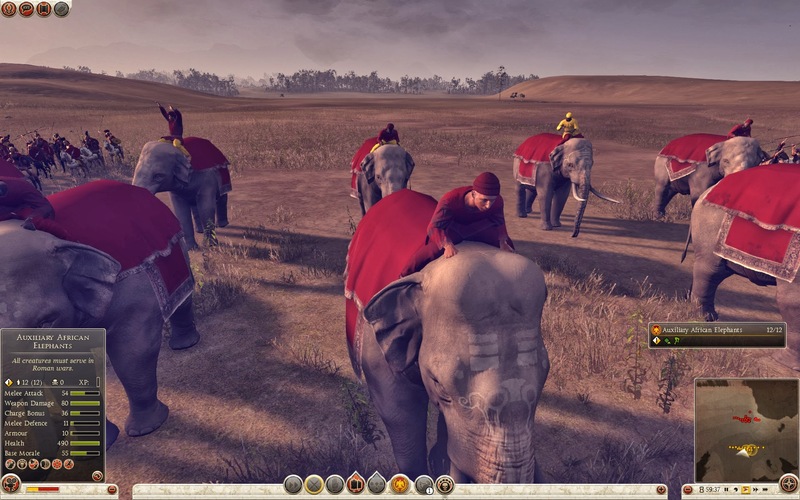 Elephant drivers will kill their mounts with spikes. To be used only if they run amok. Charges are more effective for an extended time. This unit causes extra damage when it knocks enemies back. This unit may go crazy if it's under pressure. This unit frightens all enemy units. This unit is immune to the fear effects of scary units.